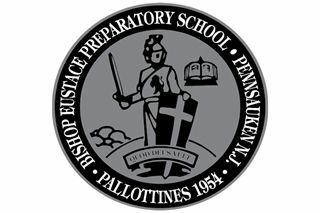 Pennsauken, NJ -- Bishop Eustace Preparatory School announced today that a change in leadership occurred over the Christmas break. Effective, January 4, 2019, Mr. Angelo Milicia has separated from the institution and is no longer working as the Head of School. The Board of Trustees appreciates his years of service to the school and they wish him the best. "Leadership changes during the school year can be a challenge and we recognize the impact this may have on the school community. I expect that the next leader will embrace the school's mission with well-managed accountability and academic excellence grounded in the same Catholic mission and faith that Bishop Eustace was founded on," states Father Peter Sticco, SAC. The school has already begun the process of identifying a new Head of School who should be in place in the coming weeks. "With this leadership change comes great speculation about the state of our school. Let me reassure you that Bishop Eustace Preparatory School will not be closing," states Father Peter Sticco, SAC. The Board of Trustees remains committed to providing a private Catholic education to its students following the Pallottine Mission just as it has since the inception of Bishop Eustace in 1954. They pride themselves on providing academic excellence to a diverse population of students through academic rigor, arts, and athletics based on the charism of St. Vincent Pallotti today and for generations to come. Located in Pennsauken, New Jersey, Bishop Eustace Preparatory School is a private, four-year, co-educational Catholic school that promotes the lived philosophy of St. Vincent Pallotti, the founder of the Pallottines. The mission is to prepare all students to realize their unique potential through spiritual growth, Christian service, education and personal development.